As part of our “Spotlight” series, we’ve been reaching out to profile local brands “doing good” in the world, and we were thrilled when Ari Morimoto, TCHO’s Director of Brand Marketing, agreed to share his perspective with us. 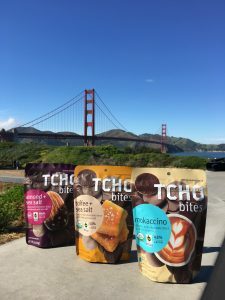 We were blown away by how committed TCHO is to building a community around chocolate - From uniting their farmer partners across the globe to building “brand love” among their biggest fans, TCHO is raising the bar (pun intended!) in how they approach brand marketing in 2017. 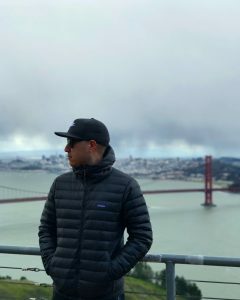 “I’ve worked in marketing now for almost 15 years - nearly my whole professional career - from the agency side, to when I started my own start-up in 2008, and client side. I've worked multiple industries as well, automotive and motorcycles, footwear and apparel, and my first job in food was at Del Monte, where I worked on the Pet side of the business on Pupperoni and then Milkbone, their biggest pet brand name. Eventually, TCHO reached out to me, and I had always wanted to get back into a smaller company, and what a cool brand and what a great product! It really is second to none. “TCHO is a really unique chocolate company for a few reasons. First, as I mentioned, we own our own factory, but really what sets us apart is the work that we do before cocoa trees are even planted in the ground. 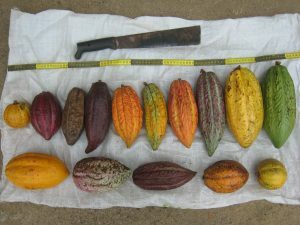 Most people don't realize that the vast majority of cocoa farmers have never even tasted chocolate, and of the ones that have, a very small percentage have ever tasted chocolate made from their own beans, that they've grown. So when you think about making a super-high end product of any kind, but especially food, if the people who are making your main ingredient don't know what it's supposed to taste like, it can become problematic. There's a lot of analogous aspects to winemaking. What we've done to solve this problem of distance and lack of education and training on the farmers’ part, is we've gone down to all of the regions that we source from, and we've built what we call "Flavor Labs", which are small laboratories with all the tools you need to make small batches of your own chocolate. We then teach all of our farmer partners, cooperative workers, and local cocoa scientists how to make chocolate. THEN we teach them how to taste it. That's what's most important - we make them chocolate connoisseurs and teach them what it tastes like when it's picked too early or picked too late, or when it's not fermented or dried properly. So they really have a clear understanding from a sensory analysis standpoint how their piece of the supply chain affects flavor and quality. We then can teach them how to change their practices to maintain a really high level of quality and flavor. This type of work has been done in coffee for a long time - all we've done is take that and apply it to chocolate, TCHO is the first company to do that. We then wanted to shorten the distance between us and our farmer partners, and so what we did was we worked with a software company to build a cloud-based system called Cropster, which allows farmers to harvest their new crop, and make a sample out of each micro-lot, taste it, and score it across our flavor profiles that we've developed. They upload all of this information and we can see in real time how the flavor profiles of the chocolate that's coming in from around the world taste like, so we can choose which micro-lots we want to bring in to taste for ourselves, and that's how we select the highest-quality beans. What's really fascinating is that we have to develop a new language to talk about flavor with each region we work with. For example, there's no blueberries in Ghana, so if I say "This has a blueberry note", they don't know what I mean. So our "Bean Team" goes down to a local market to buy all of these different local foods to taste and smell, and find things that the farmers in that area would understand so they can talk about flavor within their context. From your perspective, what should dictate your brand's approach to content marketing and social media? What are we an expert on? What can we authentically be an authority on? For TCHO, sustainable sourcing practices, ethical sourcing, chocolate in general, food and flavor trends, even botany! Cocoa as a plant is so fascinating, and our chief chocolate maker's education is in botany. He has such a unique skill set that our whole team draws on. Another thing is the content has to be valuable. What we like to do is "empower and educate", which really fits in with the work we do at origin. So we find that people want to eat healthier, have a smaller environmental footprint, but a lot of them don't know how to do it. So how do we empower our customers who are fans of TCHO to make better purchasing decisions? The last thing is that it's really important to stay up to date with how the landscape is changing over time. it's a budget consideration as well - you want to make sure that your impact is maximized for your effort. For example, Facebook last year changed the rules and made it more expensive for brands to advertise, so if that's part of your strategy then you need to allocate more of your budget to that, but at the same time people are starting to realize that brands are just buying content through paid influencers. I think that's becoming less and less effective because people see through it, it doesn’t feel authentic. There's companies that are ahead of the game and doing more inbound / UGC (user-generated content) campaigns, that I think potentially can be less expensive. With most of our clients, Facebook got more expensive than it once was, but on the flip side, looking at any other channel, it's still got the scale. So balancing that with finding ways to play in that space where we can get people to engage in new ways is a fun challenge, but it does change all the time. What trends are you seeing within your industry, and what do those trends mean for content marketing specifically? We're really focused, as a brand, on storytelling. And telling that story in a compelling way. A lot of brands especially small ones, since they're so resource-constrained, tend to create content for the sake of content. And I don't think that's a great strategy. With our focus on Millennial consumers, they just abhor being fake and not being transparent, so you have to be a really good storyteller, and create something that's not only valuable but entertaining. Something they can connect to emotionally. So what I've been seeing with peer companies, it's really about storytelling, being transparent, and having a cause to get behind. Another thing on a more functional level is live streaming. It goes back to transparency and fits right in with storytelling. Making people feel like they're part of the process, right there when you're coming up with your new flavor or visiting a new farm opening cocoa pods. It's already huge but I think it's going to get bigger. YES! it echoes the changes we've seen on the platform side as well. All of the major social networks have rolled out live streaming features, and while we know there’s an ongoing debate with some brands feeling like they can choose ONLY “brand polish” or “brand authenticity”, we feel that the two elements can easily coexist with the right strategy in place. I think it's more important to have compelling content vs. beautiful content unless we're talking about Instagram where it's all about beautiful content. Another thing that marketers tend to neglect is content specifically targeted for retention instead of acquiring new customers. There's content that we create that's geared toward a more advanced connoisseur, and then there's content that we create that's geared towards someone who has just discovered TCHO, this upper echelon of grocery / specialty store brands and what are the most important things they should understand when trying to choose chocolate. What are your top 3-5 goals that you're working towards when building TCHO's market share? #1 is supporting our sales team and sales growth with a number of things - first, New products! 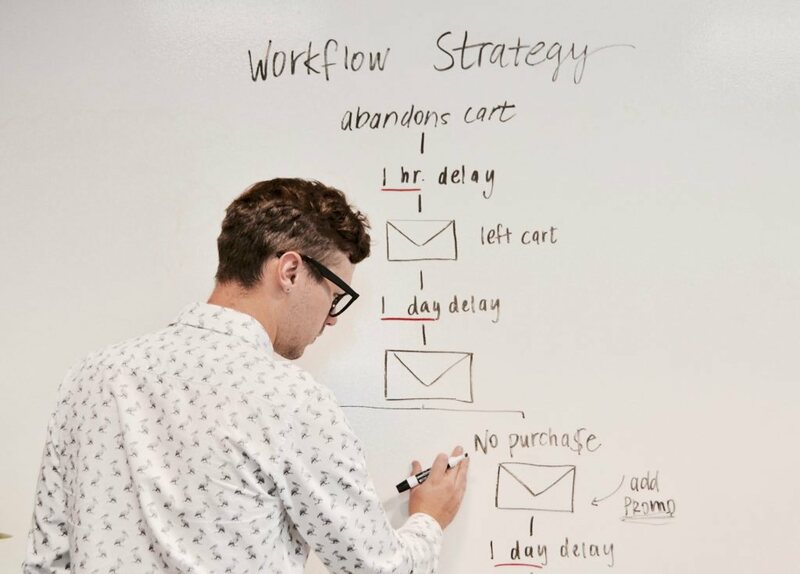 Having a robust new product pipeline that gives your salespeople a reason to go back to buyers they've already talked to is key. All of those new product decisions should be based in data, should have reasons for why you developed this flavor, at this time, in this format, that price point, etc. And providing them in the right cadence really helps the salespeople sell new products to both new, and old accounts. "Give them something to talk about" and give them the tools to talk about it effectively. So we do brand workshops with our salespeople and make sure they understand subtle nuances that make TCHO and our products different, so they can talk about them like I can - and not just our products but our competitor's products too. We need to be doing everything we can to increase velocity and distribution. #2 is messaging consistency and refinement. We're a young company and we're still finding our voice at some level. We're going to be rolling out new materials soon, but one of the biggest challenges I think about, is how do I maintain this consistent message across every platform all the time and how do I make sure it's tweaked in some way to fit that platform and maximize its effectiveness. #3 is probably what most of my peers at small up-and-coming food companies focus on most and that's TRIAL. You need a subset of very specific tactics to increase trial. One of the first things people say about us is "Oh I love your packaging", but that doesn't mean they're going to buy it. To be fair, our packaging, because we're a smaller company with resource constraints, - actually does have to do a disproportionate amount of the heavy lifting to sell the product. We're not on TV, on print, etc. But I think it's important to get people to taste our product, then they'll understand the difference between our chocolate and what else is on the shelf, and they'll understand why they're going to pay $1 - $2 more for it too. The economics of chocolate are very interesting - because cocoa has been produced using slave labor for most of its history, and still is in some parts of Africa, there's this gap between the consumer’s perception of the value of cocoa and the actual value of cocoa when you source it responsibly. That gap has made it hard for new chocolate companies to enter the market and compete with large conglomerates who are selling much cheaper chocolate. Until recently consumers did not know the difference, and why some bars were double or triple the price. More recently US consumer perception of the value of chocolate is changing, not dissimilar to what we’ve seen in craft beer, and high-end coffee. A few years back, there were just a few brands in the beer set, Heineken, Corona, and the domestics, now two-thirds of the set is small craft brews. We are starting to see this same shift in the chocolate set, even in mass stores like Target and Walmart. Right now is the beginning of the renaissance of chocolate! #4 is budget allocation. One of the things that keeps me up at night is thinking about, "do I have the right coverage? Have I spent the right amounts on each type of initiative?" And as I learn more, I tweak my allocation. #5 is the effectiveness of my team. My philosophy is giving people the opportunity to manage their own schedule. So I help prioritize and work closely with my team every day, but I want them to feel empowered to take ownership of the projects they're working on and I've found that has been effective more often than not. Who are your idols in this space, who are you looking to as your "That could be us in 5 years from now" inspiration? One of the companies I really admire is NUMI tea. They're huge now, and if you don't know too much about them you should definitely read up on them. One of the things they're doing is their whole production facility is solar powered. That's so amazing. And they do a lot of work at origin where they're buying their tea. I find their model to be fantastic and very interesting. We're big fans of Califia Farms also. I love their product, their packaging is just killer. That's something that's in our office refrigerator all the time. Talking about food trends, do you see any major changes in the chocolate category? First, on-the-go snacking - I have no idea why chocolate is sold in bars, it is definitely not the best way to eat chocolate. Consumers are just so used to buying chocolate in bar form that you have to do it, but I see a lot of room for innovation from a format/packaging perspective. For example, we just launched TCHO bites, basically our top 3 flavors in bite-sized discs, 5 ounces, in a stand up resealable pouch. It's more cost-effective for us to produce, and they're between $5-$6 retail so, by an ounce, they're more affordable for the consumer. They're also shareable, portable, resealable, so that's a huge trend. Second, chocolate is now seen as a better-for-you dessert. We don't necessarily look at ourselves as a healthier company - we see ourselves as an indulgent brand - but we're already considered a healthier option versus candy or ice cream. The third trend, in general, is gaining certifications. I don't know how recent that is, but many retailers now are demanding certifications for non-GMO labeling. What most people don't realize is that you cannot be USDA Organic Certified without also being GMO-free, and it’s important for purchasers to know what certifications actually mean - some of them are just marketing jargon, and others are legitimate. As an agency, we're really curious to know in-house trends between marketing teams and agency partners, and where, for our own longevity, value can be brought on and where it makes less sense. What's your POV? I'm not sure if this is a new trend, but there's these small-to-medium sized businesses who are kind of in no-man's-land when it comes to the agency world. 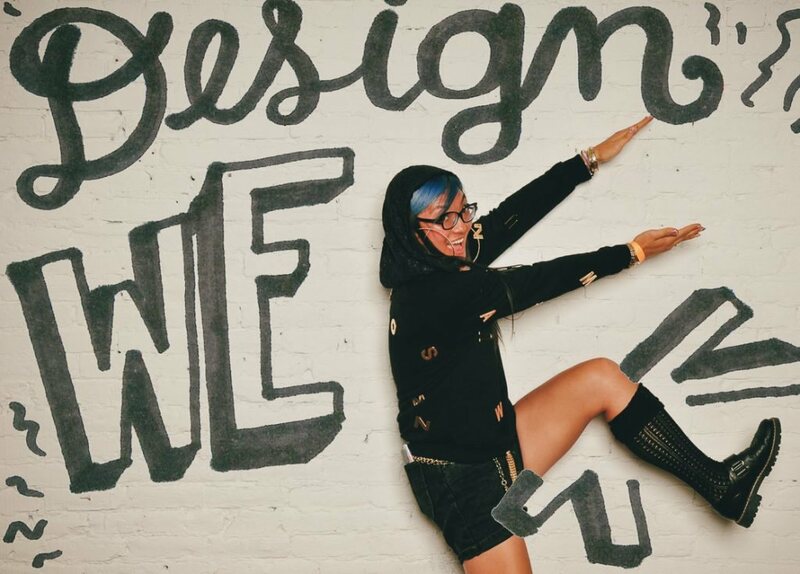 Most of the big agencies even boutique agencies, they have a price point that's unattainable. 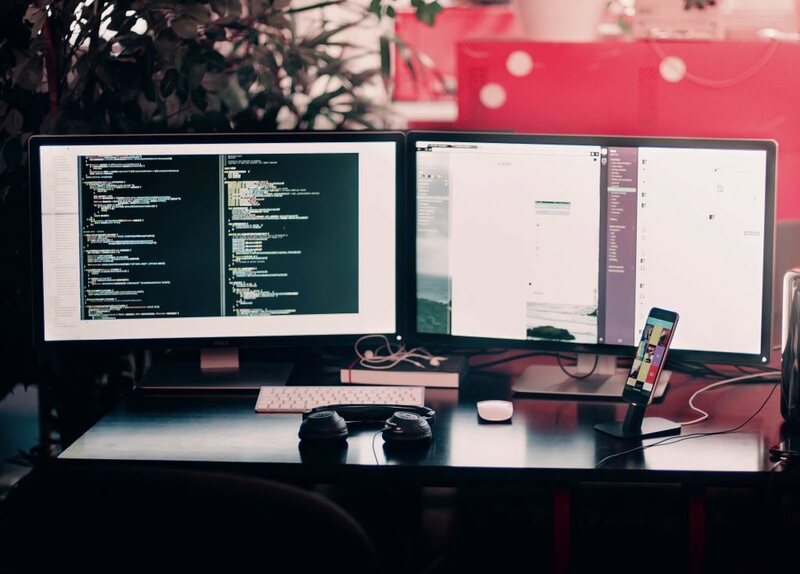 In the past, a lot of smaller companies like ours would just go to freelancers or hire people internally to handle website management, our social presence, developing our content, because we can't afford to go to these bigger agencies. What I've been seeing lately is people leaving big agencies with a small team and creating smaller agencies that are designed specifically to work with these growing companies. Which is great because you get a chance to work with higher-level executives who don't even get to work on the fun stuff at big agencies. They want to work with up and coming companies, and it's a win-win because I get to work with senior agency people who would otherwise be out of my budget. Last question, what's your single favorite advertising campaign? That's so difficult! There are so many awesome ones. In the past, Old Spice is so awesome. Not just the campaign, but the whole rebrand, they just knocked it out of the park. One of the ones I've seen recently that I think is just phenomenal is Tillamook - Dairy Done Right. That was done by 72 and Sunny in LA, and that's probably my single favorite campaign of the last couple of years. So right on, so gritty and nostalgic but modern, and it's appetizing! *This interview has been condensed from the original transcript for clarity.